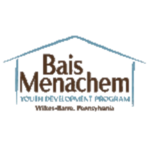 Although our program is open and flexible, all participants are expected to obey the rules and regulations set forth by Bais Menachem to ensure that the program runs smoothly. This will also enable us to have a positive and productive environment for the staff and participants. Applying students should read through and check agreement to each item & input their name as an electronic signature. Our program is a 24-hour a day program. You are the responsibility of Bais Menachem at all times. A staff member must always know where you are. You must be in the dormitory nightly no later than 9:00 pm. Curfew is 11:00 pm. Smoking is not allowed in the dormitory, Bais Hamedrash, vehicles, or in front of the building of Bais Menachem. Using a stereo or speakers of any kind is not allowed. Only personal audio-only mp3 players with headphones are permitted. We don’t want any student imposing his musical choice upon others. Stereos and speakers will be confiscated, and will not be returned until you leave. MP3 players with no WIFI capability are permitted. While we wish to allow students to remain in contact with family & friends, experience has shown that there must be restricted access for students to remain “present.” Therefore, all devices such as cell phones, ipods, tablets, handheld gaming devices, etc. will be kept in the principal’s office and given to students on Fridays and Sundays. Personal computers, laptops, video iPods, or any video player will not be allowed. They will be confiscated. If you require a laptop for a specific, hanhala-approved purpose it must be kept with the principal when not in use. Any phones, laptops, tablets, ipods, video playing devices, out of service phones or the like being hidden by a student and are found by hanhala will not be returned under any circumstances. Students are expected to wear button-down shirts to classes; Shorts and t-shirts are not permitted in class. Otherwise, you can dress as you like; please use common sense. On Shabbos you are expected to dress appropriately. Any alcohol found in the possession of any student will be immediately confiscated, no questions asked. Repeat offenses will result in more severe consequences, possibly including mandatory therapy. The above applies to any dangerous or illegal substance of any kind, including fireworks, knives, etc. 80% or better attendance is required of all students. Students whose attendance is below 80% for two consecutive weeks will be placed on probation. If attendance does not improve you will be asked to leave. As a rule, we do not have “off-Shabbosim.” However, as joyous occasions do arise (and some guys just need a “break” at times), each student will be able to arrange a Shabbos off, as necessary. A phone call from parents, along with our permission, are required for each individual situation. You will be allowed only one Shabbos off every six weeks at most. Shabbatons are arranged by Bais Menachem quite frequently, and each student will be expected to participate unless he is specifically excused. If you feel there is a problem with the way a fellow student or staff member is treating you, you are to speak with your principal or administrator, not take matters into your own hands. If you are caught tampering with someone else’s possessions, you may be asked to leave the program immediately. I have read each of the above items. By clicking each one and signing below I signify my agreement to abide by each of the above rules. I wish to enroll in Bais Menachem.